On March 17, the pro-Al-Qaeda cleric from Gaza, Nael Musran Bin Ghazi, wrote a message on Telegram in Arabic and English in response to the New Zealand terror attacks of March 15, 2019. Members of the Al-Quds Brigades of the Islamic Jihad during a military march in the town of Rafah in the Gaza Strip, on Nov. 15, 2018. Photo by Abed Rahim Khatib/Flash90. 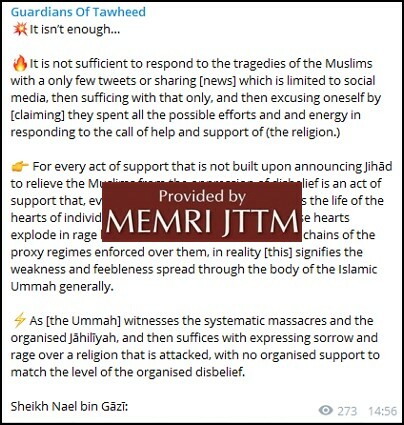 The post titled “It isn’t enough” was shared on several English language pro-Al-Qaeda Telegram channels. The cleric’s argument is similar to many of the jihadi-salafi reactions in the wake of the attack, which stress that verbal condemnation is not sufficient in light of the severity of the attacks, which are described as having touched the entire Muslim nation and necessitating a violent response. 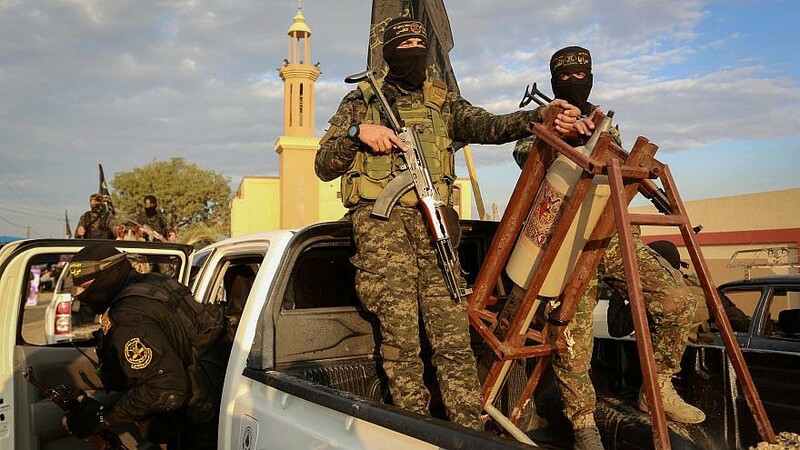 The above post was shared on the Syrian Guardians of Tawheed Telegram channel, which belongs to Al-Qaeda militants. “It is not enough to respond to the tragedies of the Muslims with only a few tweets or just by sharing news on social media, and to be satisfied with that, and then claiming as an excuse to oneself that one made all the possible efforts and spent energy in response to the call of help and support of the religion.